News: Bazemore will exercise his $19.2 million player option for the 2019-20 season, Adrian Wojnarowski of ESPN reports. Impact: This comes as no surprise, as Bazemore's value as a free agent this summer would likely be much lower than the $19.2 million he will now make next season. While the Hawks continue to build around their young core, it's unclear where Bazemore fits into Atlanta's plans, and given that he will now be under an expiring contract, he could be used as a trade asset for Atlanta next year. News: Prince collected 23 points (8-17 FG, 5-8 3Pt, 2-3 FT), five rebounds, two assists and one block across 34 minutes in Wednesday's 135-134 loss to the Pacers. Impact: Prince wasn't as reliable this year as in past years due to some health issues that forced him to miss 27 games, but when he was on the court, he was a solid bet for double-digit point production. His 44 percent shooting percentage and 39 percent three-point shooting are efficient numbers for a forward, who will certainly look to elevate his game to the next level in the offseason while he's under team control in his fourth year on contract. News: Collins posted 20 points (8-15 FG, 1-2 3Pt, 3-4 FT), 25 rebounds, six assists and one block across 36 minutes in Wednesday's 135-134 loss to the Pacers. Impact: Collins came to board in the finale, grabbing a career-high 25 rebounds in the one-point loss. His freak athleticism is not even a question anymore, as everyone knows Collins can jump out the building and body up with any forward he's matched on. After missing plenty of games early in the season, Collins ends his sophomore year with 19.5 point and 9.8 rebound averages over 61 games. News: Young produced 23 points (6-18 FG, 1-7 3Pt, 10-11 FT), 11 assists, five rebounds and two steals across 34 minutes in Wednesday's 135-134 loss to the Pacers. Impact: Young ends his rookie season having only missed one game and averaging 19.1 points, 8.1 assists and 3.7 rebounds per game. He was strong in close, including getting to the charity stripe often and shooting 83 percent there. While the three-point percentage and turnover numbers could use improvement, Young turned in a solid rookie season and will have a whole offseason to develop his unique skill set. News: Davis (knee) is available for Wednesday's season finale against hte Pacers. Impact: Davis apparently injured his knee during Sunday's tilt with Milwaukee, although he still managed to see 13 minutes. He's good to go Wednesday and will likely approach the 4.3 points and 4.4 rebounds he's averaged in 14.4 minutes per game this year. News: Adamas will come off the bench for Wednesday's game against Indiana, Chris Kirschner of The Athletic reports. Impact: Adams will return to the bench with Trae Young (rest) being cleared to play Wednesday. As long as Young's minutes aren't limited, Adams' is unlikely to see much run than the 12.7 minutes he's averaging on the season. News: Young (rest) will play Wednesday against the Pacers. Impact: Young was given Sunday off, but he'll be back for the season finale. Since March, he's averaging 23.4 points, 9.1 assists, 4.9 rebounds and 1.0 steal in 31.8 minutes. News: Collins (rest) is off the injury report for Wednesday's matchup against the Pacers. Impact: Collins was given Sunday's game against the Bucks off, but he'll return for the Wednesday's season finale. Across his past 10 appearances, he's averaging 17.2 points, 8.0 rebounds, 2.0 assists and 1.3 blocks. News: Spellman (ankle) will not play Wednesday against the Pacers. Impact: The rookie ended up being a regular contributor off the bench for most of the season, but an ankle injury will ultimately cost him the final month-plus of the season. Spellman, who hasn't played since Mar. 1, closes his season with averages of 5.9 points, 4.2 rebounds, 1.0 assist and 1.1 combined steals/blocks in 17.5 minutes per game. News: Davis will be a game-time call for Wednesday's game against Indiana due to soreness in his right knee, Kevin Chouinard of the Hawks' official site reports. Impact: It's unclear as to when the issue cropped up, but the Hawks will evaluate Davis closer to tipoff to determine his availability for the final regular-season contest. If he's ultimately ruled out, he'll end the 2018-2019 campaign averaging 4.3 points over eight games. News: Poythress (ankle) won't play in Wednesday's season finale against the Pacers, Kevin Chouinard of the Hawks' official site reports. Impact: Poythress hasn't taken the court since Mar. 6, so it's no surprise that he's been ruled out for Atlanta's final regular-season matchup. He figures to be healthy well in advance of next year. News: Davis and the Hawks agreed to terms on a multi-year deal Monday, Michael Scotto of Basketball Insiders reports. Impact: Davis joined the Hawks in mid-March, and he's apparently shown enough that the team may be interested in keeping him around in the long-term. The contract is technically a multi-year deal, though it's partially guaranteed and likely includes a team option, so Davis is far from a lock to be on the roster next season. News: Huerter (back) is available and starting Sunday's game against Milwaukee, Kevin Chouinard of the Hawks' official site reports. Impact: Huerter was upgraded to probable prior to the contest, so it's no shock that he's been given the green light. The Hawks will be without a good number of their usual contributors, so Huerter figures to see plenty of opportunities to produce. News: Humphries will start Sunday's game against Milwaukee, KL Chouinard of Hawks.com reports. Impact: Humphries just signed with the Hawks a little more than a week ago, but he'll log his first start Sunday as the nominal power forward with John Collins resting. Humphries played 15 minutes Friday against Orlando, finishing with three points and one board. News: Adams will start Sunday's game against Milwaukee, KL Chouinard of Hawks.com reports. Impact: Trae Young will sit out to rest, so the Hawks will pivot to Adams, who's played double-digit minutes in all but one game since the start of March. Considering this will be Young's first absence, Adams could be set for his largest workload of the season. News: The Hawks have upgraded Huerter (back) to probable for Sunday's game against the Bucks, Brad Rowland of PeachtreeHoops.com reports. Impact: With the Hawks already ruling out six players for the contest -- including backcourt mate Trae Young (rest) -- Huerter could take on more usage than normal if he gets the green light to play, as expected. Prior to sitting out Friday's 149-113 loss to the Magic, Huerter had been heating up over the preceding four contests, averaging 12.0 points, 3.5 assists, 3.3 rebounds and 1.8 triples in 29.3 minutes per contest over that span. News: Bazemore (hip) is available to play in Sunday's matchup versus the Bucks, Chris Kirschner of The Athletic reports. Impact: With more than a few Hawks either injured or being rested for Sunday's game, Bazemore will return to the lineup after missing Friday's game against Orlando. With Kevin Huerter (back) listed as questionable for Sunday, Bazemore may take on an extended role versus the Bucks. News: Collins will be rested during Sunday's game against the Bucks, Chris Kirschner of The Athletic reports. Impact: It was rumored that the Hawks may rest some of their younger star players in hopes of eliminating the risk of injury in meaningless games down the stretch. With Collins out of the lineup Sunday, Vince Carter may slide into the starting rotation against the Bucks and also will likely see an increased role. News: Young (rest) won't play in Sunday's contest against the Bucks, Chris Kirschner of The Athletic reports. Impact: Young was questionable entering Sunday's game as it was expected he may be rested. The team has been eliminated from the playoffs for a while now and has no reason to risk injury to their rookie point guard. Jaylen Adams and DeAndre' Bembry will figure to see an uptick in minutes with Young out. Looking ahead, Young's final chance to play this season will be against the Pacers on Wednesday. News: Poythress (ankle) is out Sunday against the Bucks. Impact: This news doesn't come as much of a surprise. Poythress' final chance to play this season is Wednesday against Indiana. News: Spellman (ankle) is out Sunday against the Bucks. Impact: A sprained ankle continues to keep Spellman on the shelf. He'll have just one final chance to take the court Wednesday against the Pacers. News: Young is listed as questionable due to load management Sunday against the Bucks. Impact: Young has been handling a heavy burden for the Hawks down the stretch, and coach Lloyd Pierce may opt to give the rookie the day off Sunday. Across the past nine games, he's averaging 24.1 points, 10.3 assists, 4.7 rebounds and 1.1 steals in 32.1 minutes. News: Collins (rest) is listed as questionable for Sunday's game against the Bucks, Kevin Chouinard of the Hawks' official site reports. Impact: With just two games remaining in the season, it appears as if the Hawks aren't taking any risks with their young core. Although he hasn't yet been ruled out, there's a good shot Collins' rested considering he's placed 69 total minutes over his past two games. If he's held out, look for Vince Carter and Deyonta Davis to see a boost in run. News: Huerter (back) is listed as questionable for Sunday's game agianst the Bucks, Kevin Chouinard of the Hawks' official site reports. Impact: Huerter is in jeopardy of missing a second-straight game with a back issue that's nagged him for the last month. With only two games remaining, if Huerter's back isn't 100 percent, there's a good chance he could be held out for the rest of the season. News: Bazemore (hip) is listed as probable for Sunday's game against Milwaukee, Kevin Chouinard of the Hawks' official site reports. Impact: Bazemore is a good bet to return to the rotation after a one-game absence due to a left hip strain. If he's able to return, the veteran forward will likely slot back into his usual bench role. In 65 games this season, Bazemore's averaging 11.7 points, 4.0 rebounds, 2.3 assists and 1.4 steals in 24.6 minutes. News: Bembry registered 14 points (6-14 FG, 0-2 3Pt, 2-4 FT), 10 rebounds, four assists and three steals over 29 minutes Friday against Orlando. Impact: Bembry led Atlanta's reserves with 14 points on the night, but the Magic would come away with a 30-plus point victory in one of the final games of the regular season. The 24-year-old Saint Joseph's product is averaging 8.2 points over 79 contests this season but has seen an uptick in playing time and production of late, likely due to the fact that the Hawks have shut a number of their top performers down for the regular season. News: Prince finished Friday's game against the Magic with 15 points (5-11 FG, 1-6 3Pt, 4-7 FT), a rebound, an assist and a steal over 26 minutes. Impact: Prince was one of three Atlanta starters to finish in double figures, but Orlando would roll to a 149-113 victory. The 25-year-old is averaging 13.3 points along with 3.7 rebounds and 2.2 assists through 52 matchups this season. News: Collins accumulated 20 points (8-18 FG, 0-5 3Pt, 4-5 FT), six rebounds, an assist and a steal over 34 minutes Friday against the Magic. Impact: Despite his inability to knock down a trey, Collins finished with 20 points for the fourth time in the last five contests. The 21-year-old is averaging 19.5 points, 9.6 rebounds and 1.9 assists over 59 games with two matchups remaining in the regular season. News: Young registered 22 points (8-17 FG, 1-4 3Pt, 5-7 FT), seven rebounds, six assists and three steals over 27 minutes Friday against Orlando. Impact: Young shot 47.1 percent from the field, although it wouldn't matter much in a blowout loss. The Hawks have already been eliminated from playoff contention, but the 20-year-old rookie appears to close out the season on a high note. He's put up 15 or more points in four of his previous five contests. News: Prince (foot) will play and start Friday's game against the Magic, John Denton of OrlandoMagic.com reports. Impact: As expected, Prince will take the court despite some foot soreness. Since March, he's averaging 13.9 points, 3.3 rebounds, 2.9 assists and 1.0 steal in 29.7 minutes. News: Davis (thumb) is available Friday against the Magic. Impact: As expected, Davis will be available. Across the past three games, he's averaging 5.3 points, 6.5 rebounds, 1.0 assist and 1.0 block across 19.5 minutes. News: Anderson (neck) will play Friday against the Magic. Impact: As expected, Anderson will take the court despite a strained neck. He should continue seeing a bump in workload considering the amount of injuries the Hawks are dealing with. News: Anderson is listed as probable for Friday's game against Orlando due to a neck strain. Impact: Anderson's late appearance on the injury report is due to a neck strain which he presumably suffered during Wednesday's contest. However, it doesn't appear too severe at the moment but the injury may ultimately require that Anderson sit at least one contest to help heal his ailing neck. News: Davis (thumb) is probable for Friday's matchup against Orlando. Impact: It appears as though Davis' thumb injury isn't severe, as the Michigan State product played through his injury during Wednesday's win. Although probably not 100-percent healthy right now, Davis' name on the injury report is likely a precaution taken by the Hawks. News: Huerter (back) has been ruled out for Friday's game against the Magic. Impact: While Huerter has had occasional issues with his back over the last month or so, this is the first time that the rookie sharp shooter will have to be sidelined as a result of the injury. With both Huerter and Kent Bazemore (hip) out Friday, the Hawks will likely have to rely on both DeAndre' Bembry and Justin Anderson to hold down the shooting guard position. News: Bazemore (hip) will be inactive for Friday's contest against the Magic. Impact: Apparently, Bazemore played through his hip injury during Wednesday's win over Philadelphia and re-aggravated it. As a result, Bazemore will have to watch Friday's matchup from the sidelines. DeAndre' Bembry and Justin Anderson are prime candidates to see an increased role in Bazemore's absence. News: Carter (rest) is off the injury report for Friday's matchup against the Magic, Brad Rowland of Locked On Hawks reports. Impact: Carter got the second half of a back-to-back set off Wednesday against the 76ers, but he'll be in action Friday. Since March 1, he's averaging 9.9 points, 2.6 rebounds and 1.8 assists in 22.8 minutes. News: Spellman (ankle) is out Friday against the Magic, Brad Rowland of Locked On Hawks reports. Impact: Spellman has been sidelined since March 3, but the Hawks continue to consider him day-to-day. There's a strong chance he's played his final contest for Atlanta this season. News: Poythress (ankle) is out Friday against the Magic, Brad Rowland of Locked on Hawks reports. Impact: Poythress hasn't played since March 6, but the Hawks have considered him day-to-day. There's a strong chance he's played his final game of the year. News: Prince (foot) is probable for Friday's game against the Magic, Brad Rowland of Locked On Hawks reports. Impact: Prince played through foot soreness during Wednesday's win over Philly, and he produced 13 points, three rebounds, two assists and a steal in 33 minutes. Chances are, he'll play again Friday. News: Huerter is listed as doubtful for Friday's game in Orlando due to pain in his mid-back, Chris Kirschner of The Athletic reports. Impact: Huerter most recently played 30 minutes in Wednesday's victory over the 76ers and appears to have emerged with more back trouble. Huerter had popped up on the injury report a few times last month with a back injury but never missed any time. Now, the Hawks look to be electing to give the rookie the night off, but his status will still need to be confirmed at some point on Friday. News: Bazemore is doubtful for Friday's game against the Magic due to a left adductor strain, Chris Kirschner of The Athletic reports. Impact: Bazemore was in jeopardy of missing Wednesday's win due to the same injury, but he ended up playing. That said, it appears he aggravated things, as it's unlikely he sees the court Friday. If that's the case, it would open up time for the likes of DeAndre' Bembry and Justin Anderson. News: Young exploded for 33 points (12-18 FG, 2-6 3Pt, 7-7 FT), 12 assists, seven rebounds, and one steal in 33 minutes during Wednesday's 130-122 win over the 76ers. Impact: Young torched the 76ers for the second time in the last two weeks, providing an extremely efficient scoring performance while racking up the assists and falling three boards shy of a triple-double. With the Hawks much more focused on building momentum for next year rather than improving their draft lottery odds (won five of last seven), Young is probably primed to continue offering impressive stat lines across the final three matchups of 2018-19. News: Collins accumulated 25 points (10-18 FG, 1-3 3Pt, 4-5 FT), eight rebounds, two blocks, one assist, and one steal in 35 minutes during Wednesday's 130-122 win over the 76ers. Impact: Collins returned to the lineup following a one-game absence for rest. He has pitched in 20-plus points in each of his last three appearances, and the Hawks are clearly trying to finish the season on a high note. Unless he receives another night off, Collins is likely to stay in attack mode for the final three games of 2018-19. News: Bazemore finished with four points (2-4 FG, 0-2 3Pt), two rebounds, two assists, and one steal in 20 minutes during Wednesday's 130-122 win over the 76ers. Impact: Bazemore had been listed as probable due to an adductor injury. Nevertheless, like every other Hawk that had been listed as probable, Bazemore took the floor in this one. With the team focused on developing the younger guys as the season winds down, the veteran wing isn't that reliable for fantasy purposes, though he did just drop 26 points in Tuesday's loss to the Spurs. News: Davis had zero points (0-2 FG), six rebounds, two assists, and two blocks in 18 minutes during Wednesday's 130-122 win over the 76ers. Impact: Davis had been listed as probable due to a minor thumb injury. However, he was healthy enough to take the court and amassed a season high assist total while swatting two blocks for the second time in the last three games. Davis remains extremely limited offensively, having failed to reach double figures in scoring through six appearances this season. Still, he has good hands on the other end, and in light of frontcourt injuries (Dewayne Dedmon, Omari Spellman) the third-year big man could continue to provide decent production across the final three matchups. News: Prince produced 13 points (4-12 FG, 2-9 3Pt, 3-4 FT), three rebounds, two assists, and one steal in 33 minutes during Wednesday's 130-122 win over the 76ers. Impact: Prince returned to action following a three-game absence due to foot soreness. However, he struggled from the field in this one while providing a fairly boring stat line. With that being said, Prince was one of four Hawks to earn 30-plus minutes, so on the bright side it seems likely that his foot is feeling much better. News: Anderson will come off the bench Wednesday against the 76ers, Kevin Chouinard of the Hawks' official site reports. Impact: With Taurean Prince (foot) back in the lineup, Anderson will resume his usual role off the bench. News: Spellman (ankle) has been ruled out for Wednesday's tilt with Philadelphia. Impact: Spellman is set to miss his 16th-straight game due to a left ankle sprain. Given the fact that the rookie forward hasn't yet returned despite an initial four-week diagnosis, it seems unlikely that he'll see the court before the end of the season. News: Poythress (ankle) won't play in Wednesday's game against the 76ers. Impact: Poythress will miss his 13th-straight game due to a right ankle sprain. With only four games remaining for the Hawks, it seems unlikely that the third-year forward will return before the seasons end. News: Prince (foot) is listed as available to play in Wednesdays game against Philadelphia. Impact: Prince has been sidelined for the last three games while nursing a sore foot, but the swingman will be back in action Wednesday night. Justin Anderson has gotten the start at small forward in Prince's absence and will now likely return to a role off the bench upon his return. News: Davis (thumb) will play Wednesday against the Sixers. Impact: Davis is dealing with a minor thumb issue, but he'll be available Wednesday as the backup to Alex Len. The Michigan State product had nine points and 10 rebounds in 20 minutes Tuesday against the Spurs. News: Bazemore (adductor) will be available for Wednesday's game against the Sixers. Impact: Bazemore was one of several players listed as probable and, shockingly, all of them will play Wednesday on the second night of a back-to-back. The veteran had 26 points, four rebounds and three steals in Tuesday's loss to San Antonio. News: Collins (rest) is listed as available to play in Wednesday's game against the 76ers. Impact: After sitting out Tuesday's game against the Spurs for rest purposes, Collins will be back in the lineup Wednesday. Expect the second-year star to be a full back in his return to the lineup. News: Davis (thumb) is probable Wednesday against the 76ers due to a sprained left thumb, Kevin Chouinard of the Hawks' official site reports. Impact: Davis picked up a minor injury Tuesday against the Spurs. He's expected to play Wednesday, and there's a chance he'll start if Alex Len (foot) is sidelined. News: Bazemore is probable Wednesday against the 76ers due to a left adductor strain, Kevin Chouinard of the Hawks' official site reports. Impact: Bazemore seems to have picked up a minor injury during Tuesday's game against the Spurs. He'll likely play Wednesday, however. News: Carter is out for rest Wednesday against the 76ers, Chris Kirschner of The Athletic reports. Impact: Carter started and played 28 minutes Tuesday, so coach Lloyd Pierce will opt to keep the veteran on the sidelines on the second half of a back-to-back set. With Taurean Prince (foot) and Alex Len (foot) both questionable, we could see a lot of Justin Anderson, DeAndre' Bembry and Kent Bazemore. News: Prince (foot) is listed as questionable for Wednesday's game against the Sixers. Impact: Prince has missed the last three games with a sore foot, but there's some optimism that he'll be able to get back on the floor Wednesday night. If he's ultimately ruled out, he'll only have three more opportunities to get back on the floor before the end of the season. News: Collins is considered probable for Wednesday's game against the Sixers, KL Chouinard of Hawks.com reports. Impact: Collins was held out of Tuesday's game for rest purposes, but all signs point to the second-year forward returning to the starting lineup on the second game of a back-to-back. Over his last five games, Collins has averaged 15.4 points and 7.6 rebounds in 30.0 minutes. News: Huerter tallied 13 points (6-11 FG, 1-3 3Pt), two rebounds, an assist and two steals over 27 minutes Tuesday against San Antonio. Impact: Huerter shot just under 50 percent from the field in a 117-111 loss for the Hawks. He did manage to finish in double figures, although his contributions across the board were unimpressive, to say the least. Huerter is averaging 9.5 points, 3.2 rebounds and 2.8 assists over 71 contests this season. News: Young tallied 15 points (5-15 FG, 0-6 3Pt, 5-5 FT), a rebound, six assists and a steal over 30 minutes Tuesday against San Antonio. Impact: Young had another quiet scoring night, and he's struggled to find success from beyond the arc of late. Despite this, he's remained an impressive facilitator of the basketball and has recorded six or more assists in each of his previous five matchups. Young will look to close out the 2018-2019 on a high note with the hope of beating out Luka Doncic for Rookie of the Year honors. News: Bazemore finished with 26 points (10-16 FG, 5-7 3Pt, 1-2 FT), four rebounds, two assists and three steals over 24 minutes Tuesday against San Antonio. Impact: Bazemore played fewer minutes than all of the starters, but that didn't stop him from leading the team in scoring. Despite his valiant effort, the Hawks would fall 117-111. With only five games remaining in the regular season, Bazemore is averaging 11.6 points, 4.0 rebounds and 2.3 assists over 63 contests. News: Carter will start Tuesday's game against the Spurs, Kevin Chouinard of the Hawks' official site reports. Impact: With the Hawks down a significant number of frontcourt players, Carter will make his ninth start of the season. Across his other starts, he's averaging 7.5 points, 2.5 rebounds and 1.0 assists in 20.6 minutes. News: Poythress (ankle) will remain inactive during the matchup against the Spurs on Tuesday. Impact: Poythress hasn't played since March 6 and has only seen action in 21 games this season. His season is likely over, as his absences haven't impacted the rotation at all for the Hawks recently. News: Prince (foot) won't play Tuesday against the Spurs. Impact: As expected, Prince will sit out for a third straight game while dealing with foot soreness. Justin Anderson figures to draw another start in Prince's stead. News: Collins (rest) will not play Tuesday against San Antonio. Impact: As anticipated, the Hawks will give Collins a night off on the first game of a back-to-back as they manage his workload in what's ultimately a meaningless final week-and-a-half of the regular season. Collins, who had a 23-point, 12-rebound double-double on Sunday, will likely be back in the lineup Wednesday against Philly or Friday in Orlando. News: Prince (foot) isn't expected to play Tuesday against San Antonio. Impact: Prince has missed the last two contests due to foot soreness, and it doesn't appear as though he's closing in on a return just yet. Assuming he is indeed held out Tuesday night, his next chance to play will come Wednesday against the Sixers. News: Collins is considered doubtful for Tuesday's game against San Antonio for load management purposes. Impact: Collins has played in the last 12 games for Atlanta, so he's likely to get a night off simply for rest during the first half of a back-to-back. He's averaging 19.0 points, 9.8 rebounds, 1.9 assists and 1.5 blocks over that 12-game span. News: Humphries signed with the Hawks on Monday for the remainder of the season. Impact: The former Kentucky Wild cat spent time overseas and in the G League since going undrafted in 2017, and he'll now join the Hawks for the final 10 days of the regular season. Humphries previously made appearances in 46 games for the Erie BayHawks, averaging 11.3 points, 6.9 rebounds, 1.1 blocks and 1.1 assists per game. He's unlikely to be a major factor down the stretch, though the Hawks are in need of depth at center with both Miles Plumlee (knee) and Dewayne Dedmon (ankle) done for the season. News: Collins totaled 23 points (9-14 FG, 3-5 3Pt, 2-5 FT), 12 rebounds, four assists and three blocks across 38 minutes in the Hawks' overtime victory over the Bucks on Sunday. Impact: Collins scored his most points in eight games as he amassed a big double-double en route to a Hawks' victory. Collins has averaged a healthy 19.3 points and 9.5 rebounds in his second season as a pro and should put up some big games in the final week of the season. News: Anderson finished with 24 points (9-16 FG, 4-8 3Pt, 2-4 FT), 12 rebounds, three assists and two steals across 31 minutes in the Hawks' overtime victory over the Bucks on Sunday. Impact: Anderson drew his second start of the season on Sunday, filling in for Taruean Prince (foot). He played a season-high 31 minutes while piling up season highs in points and rebounds. Averaging just 7.9 minutes per game this season, he'll likely have his playing time reduced when Prince returns to action. News: Young totaled 12 points (5-19 FG, 2-9 3Pt), 16 assists, five rebounds and two steals across 35 minutes in the Hawks' overtime victory over the Bucks on Sunday. Impact: Young struggled from the floor for most of the night, totaling an unusually-low 12 points. He came in clutch, however, as his final bucket at the buzzer gave the Hawks a one-point win. Young handed out 16 assists in the win, and his game has gotten progressively better as the season has gone on. His draft price is sure to be high for fantasy managers next season. News: Poythress (ankle) won't play in Sunday's game against the Bucks. Impact: Poythress hasn't played in almost a month and may not see the floor again this season. The team has yet to give a definite timetable for the forwards return from his ankle injury. His status hasn't impacted the team's minutes distribution much and shouldn't be much of a factor down the stretch. News: Bazemore (thigh) is available for Sunday's tilt against the Bucks. Impact: Bazemore's status is of little surprise after he was reported as likely to play prior to Sunday's game. He saw 21 minutes off the bench in Friday's loss to Portland and will figure to see his typical minutes load off the bench once again against the Bucks. News: Updating previous reports, Prince won't play in Sunday's game against the Bucks due to foot soreness, Kevin Chouinard of the Hawks' official site reports. Impact: After initially being questionable to play in Sunday's game it was first reported that Prince would play and start against the Bucks. After coming out for warmups it appears that Prince isn't quite back to full strength and the team will keep him out as a precaution. Look for Kent bazemore and DeAndre' Bembry to see some extra minutes with Prince out. Prince's next chance to play will be Tuesday against the Spurs. News: Bazemore (thigh) is expected to play Sunday against the Bucks, KL Chouinard of Hawks.com reports. Impact: Bazemore was initially listed as questionable, and while the Hawks are yet to make a decision on his status, he was able to go through shootaround and is trending in the right direction as tip-off approaches. In Friday's loss to Portland, Bazemore played 21 minutes off the bench and finished with three points and seven rebounds. News: Prince (foot) will be available Sunday against Milwaukee, Brad Rowland of Locked On Bucks reports. Impact: Prince was held out of Friday's loss to Portland, but he'll be back in the lineup Saturday and will get the start at small forward. Prince has played at least 31 minutes in each of his last three healthy games. News: Bazemore (thigh) is listed as questionable for Sunday's tilt with the Bucks. Impact: Bazemore appears to have suffered a minor strain in his left thigh during Friday's loss to Portland. If he's unable to go, DeAndre' Bembry and B.J. Johnson would be in line to see increases in minutes. News: Prince (foot) is questionable for Sunday's game against the Bucks. Impact: A foot injury will threaten Prince's availability for the second straight contest. If he sits again, Justin Anderson might draw another start. News: Davis had six points (3-4 FG), four rebounds, one assist, and one steal in 18 minutes during Friday's 118-98 loss to the Trail Blazers. Impact: Davis combined to play seven minutes in his first two appearances this season but got a chance to run a bit more in this one. With that being said, he's merely a dart throw for those in daily leagues. News: Collins collected 20 points (8-16 FG, 1-5 3Pt, 3-3 FT), three assists, two rebounds, and two blocks in 35 minutes during Friday's 118-98 loss to the Trail Blazers. Impact: Collins snapped a three-game streak of subpar scoring efforts (combined for 34 points on just above 40.0 percent shooting) while contributing in every category except steals. Nevertheless, Collins didn't have much success when it came to corralling rebounds. The 21-year-old power forward will look to finish the season on a high note across the final six matchups of 2018-19. News: Anderson had six points (2-7 FG, 2-4 3Pt), two rebounds, two assists, and two blocks in 24 minutes during Friday's 118-98 loss to the Trail Blazers. Impact: Anderson drew the spot start and earned more than 10 minutes for the first time since Jan. 23. He delivered a fairly well-rounded stat line despite his struggles from the field. However, even in a starting role, Anderson is best reserved for use in deeper leagues. News: Young compiled 26 points (10-25 FG, 1-8 3Pt, 5-5 FT), nine rebounds, seven assists, and one steal in 32 minutes during Friday's 118-98 loss to the Trail Blazers. Impact: Young wasn't all that efficient but came fairly close to posting a triple-double. After a subpar start to his rookie season, Young's stock has been surging over the last few months, and he'll look to close out the campaign on a high note across the final six contests. News: Anderson will start Friday's game against the Trail Blazers, Kevin Chouinard of the Hawks' official site reports. Impact: Anderson will be getting his first start of the year in place of Taurean Prince, who is out with a foot injury. Anderson has seen double-digit minutes on 14 occasions this season, averaging 4.6 points and 2.5 rebounds in those contests. News: Prince (foot) is out Friday against the Trail Blazers. Impact: As expected, Prince's foot injury will prevent him from playing Friday, and it'll be his 25th missed game of the year. In his stead, Kent Bazemore and DeAndre' Bembry figure to see increased run. News: Davis will sign a second 10-day contract with the Hawks, Michael Scotto of The Athletic reports. Impact: The third-year player has just seven total minutes under his belt so far with Atlanta, and he'll close out the season with the Hawks as an emergency frontcourt option. News: Prince is doubtful for Friday's matchup against the Trail Blazers due to a foot injury, Jamie Hudson of NBC Sports Northwest reports. Impact: Prince presumably picked up the injury during Tuesday's win at New Orleans. Assuming he misses Friday's contest, DeAndre' Bembry and Kent Bazemore could see more run. 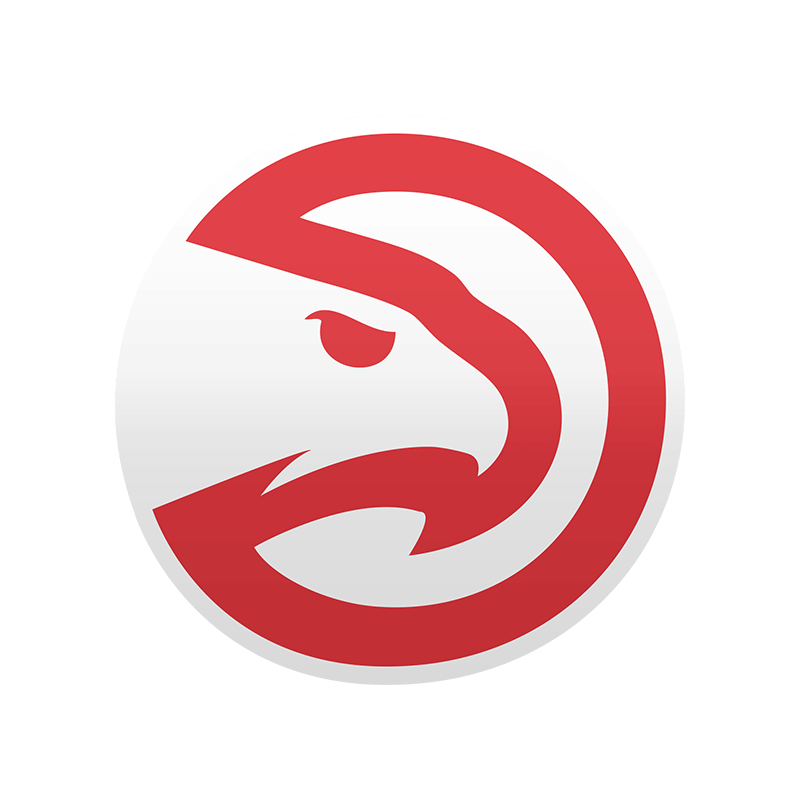 News: Bembry managed 18 points (6-10 FG, 1-3 3Pt, 5-7 FT), six rebounds, four steals and two assists across 20 minutes in the Hawks' win over the Pelicans on Tuesday. Impact: Bembry tied his second-highest scoring mark of the season with 18 points in 20 minutes off the bench on Tuesday. He also tied a season-high mark in steals with four. He's not a huge part of the offense but does enough elsewhere to make a good option in deeper leagues and a flyer in standard formats. News: Collins turned in 12 points (5-12 FG, 0-3 3Pt, 2-2 FT), seven rebounds and a block across 20 minutes in the Hawks' win over the Pelicans on Tuesday. Impact: Collins had just 12 points and seven rebounds in Tuesday's win - numbers that are small based on his season-long production. He's cooled off significantly over his last four games, averaging just 13.0 points and 8.5 rebounds. With the Hawks eliminated from playoff contention, there's no need to push a heavy workload on Collins, and he may unfortunately have more small nights before the season ends. News: Young produced 33 points (12-24 FG, 5-13 3Pt, 4-5 FT), 12 assists, one rebound and one steal across 31 minutes in the Hawks' win over the Pelicans on Tuesday. Impact: Young has had an extremely productive rookie campaign that should have him crowned Rookie of the Year if not for the spectacular play of Luka Doncic. Young's 18.7 points and 7.9 assists per game have been remarkable, but he's upped his production in March, accumulating 23.3 points, 8.8 assists and 4.9 rebounds over 12 games in the month.